Last time, we had just returned to the hotel room to drop off our shopping before heading out for dessert. 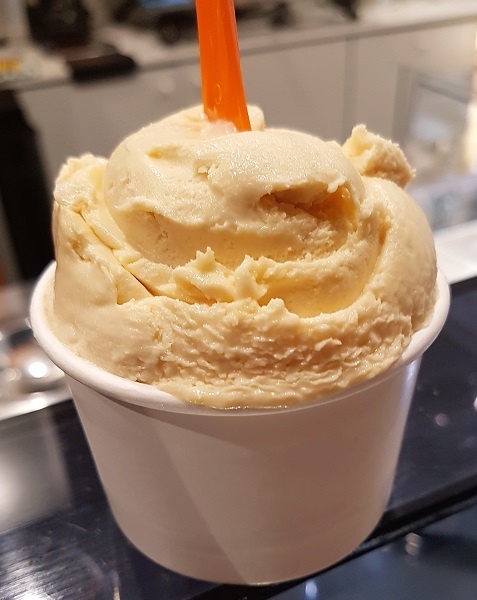 Canberra has just got their first Gelato Messina and if you have been reading here long enough you know I am a big fan.. but we had another destination in mind tonight. 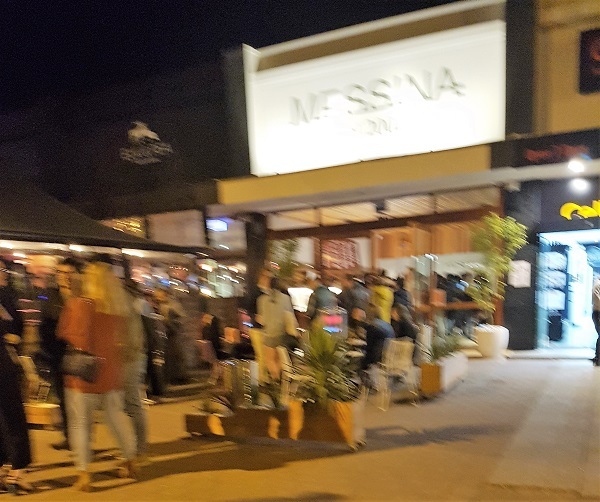 Lucky for us as there was a massive queue at Messina as you see above in my blurry photo. We were headed for Frugii Dessert Laboratory. It was only a short walk but quite a fascinating one, loads of people were out and about, and we discovered an impromptu food truck corner at the nearby carwash. Lonsdale Street is a very interesting area. I had salted caramel and chocolate, as I so often do. The flavours here were really clean and extremely delicious. Frugii is definitely worth a visit. The next morning we were in the mood for some old school pancakes. 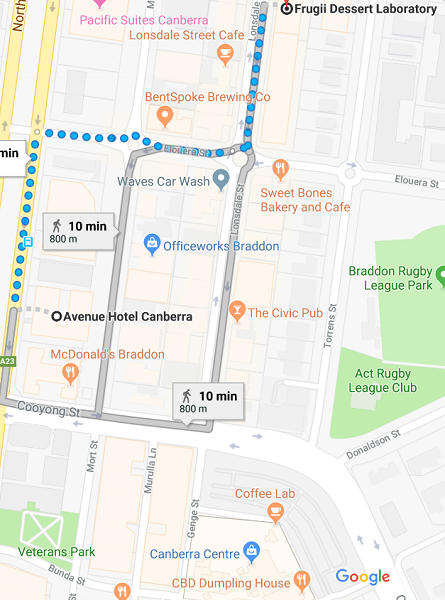 Canberra has a version of a place that I grew up with in Adelaide – Adelaidians will know I mean Berties AKA The Pancake Parlour. 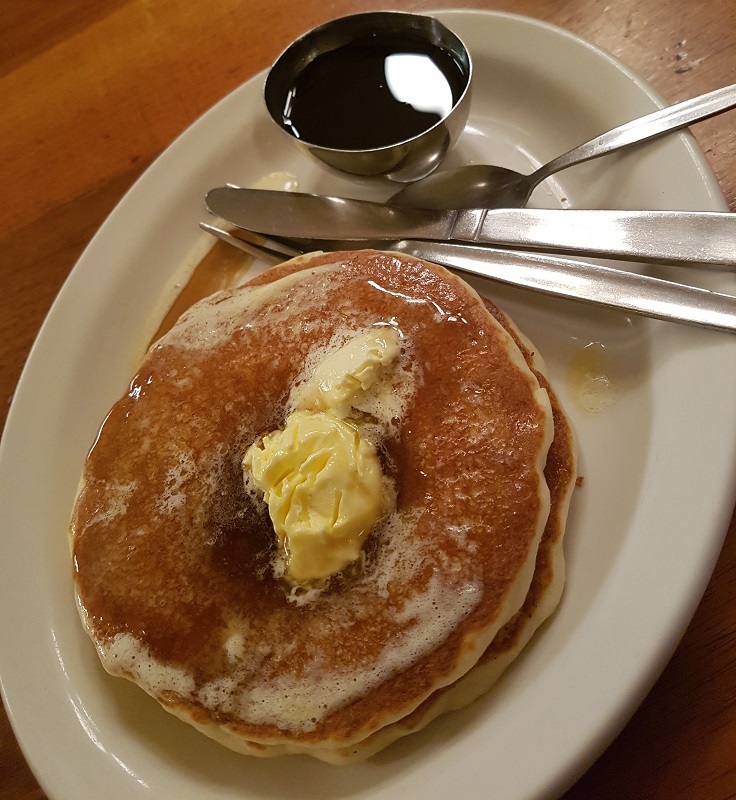 Capital Pancakes has departed from the Pancake Parlour franchise to keep their prices low. The pancakes were great, the coffee was decent, and it was not too expensive. Plus it was conveniently placed for our walk to Floriade. We were at Floriade for several hours. Yes, we are those annoying people crouching down taking photos, framing photos, using more than one camera, using our phones as well. We took probably 300+ photos each. I will not bore you with a multitude of flower photos at this time, they will come to you as a surprise on upcoming Fridays. I have put one photo here, as you see above. I was fascinated by the use of parsley as a decorative plant. It was icy out. Super icy. And windy. I was very glad I had worn all my warm things. Even so we had a lovely walk back to the hotel via City Walk. We discovered a carousel. I sat down and sent a message to Sephyroth to see if he could find out whether this one was originally from Magic Mountain in Adelaide, then got up again to walk some more and found the answer on my own. This sign told me everything I needed to know, except it did not tell me where the carousel from Magic Mountain went. 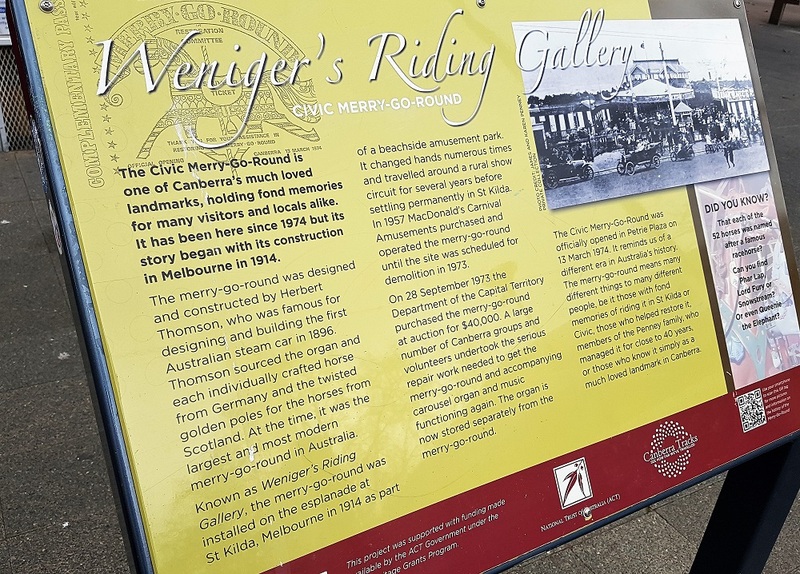 I did a little googling and it is still at Glenelg, at The Beachouse. This place comes to me as a surprise. We chose to make another stop at Via Dolce for afternoon coffee and a small snack. So many choices! The Other Half chose the cheesecake again, which we had shared the day before. When he finds something he likes he tends to stick with it. He paired it with a latte. 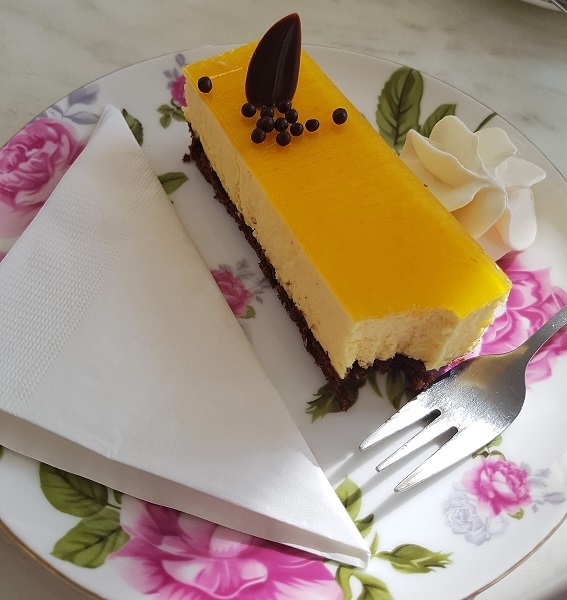 Today I chose the passionfruit and coconut slice. It was gluten free and very delicious. Apologies for my photography mishap, I think my photographers eye was worn out by this time. I should have put it in the sun for a better shot. :) I chose the dirty chai and it was amazing. We still did not steal any plates or mugs, we just admired their beauty. At least until we were driven from the white box by some very inconsiderate noisy people. By this time it was getting very cold. We headed back to the hotel for a short afternoon rest in the warmth before deciding on dinner. Next week, Tulip Top and our journey home – and you will get some flower photos from there. 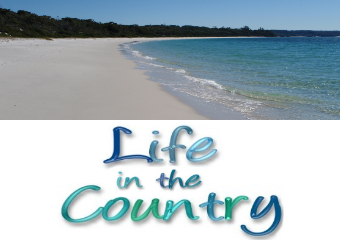 In case you missed the previous posts – Part 1 is here. Part 2 is here. Ooohhh!! Canberra looks like it was so much fun. I’m a huge Messina fan too. I struggle with patisseries these days. My eyes and heart say pick something fancy but my stomach never holds up to the promise. I actually prefer croissants and the more boring menu items these days. Getting old. 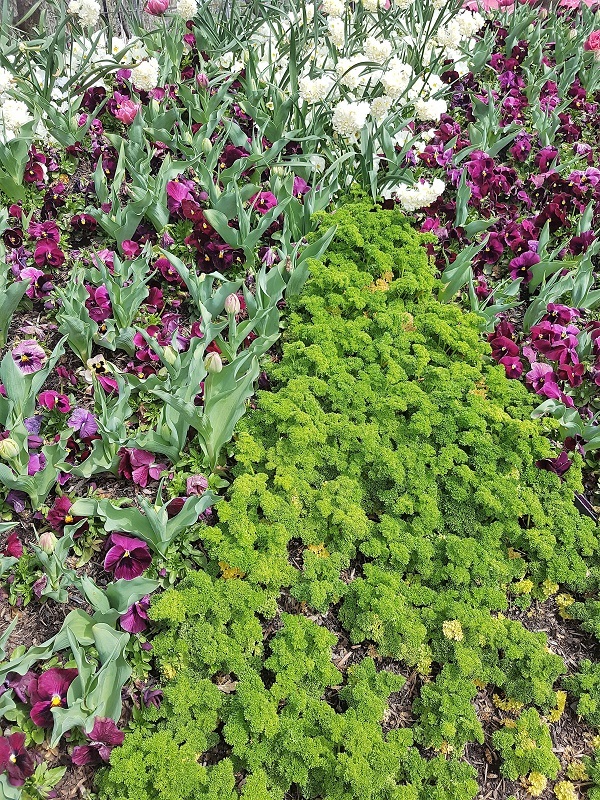 My mum used to plant parsley in between flowers because it was so pretty. 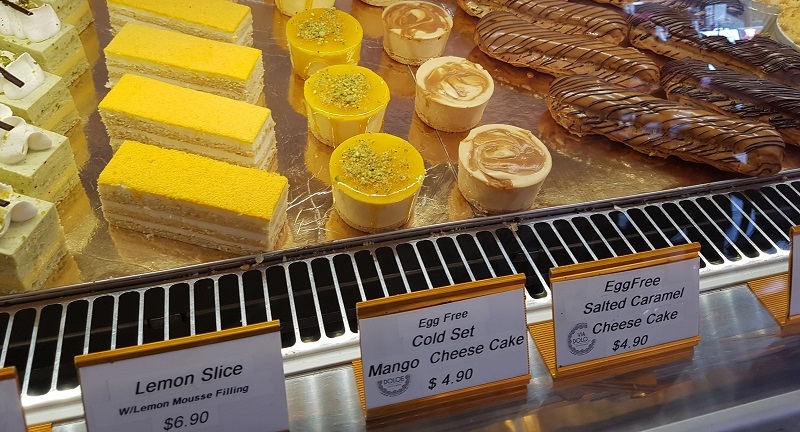 I like the look of all those little cakes, I’d want to be trying one of everything, except mango flavoured ones. Oh my god. It all looks so delicious. I’m now craving salted caramel and chocolate … from Canberra!